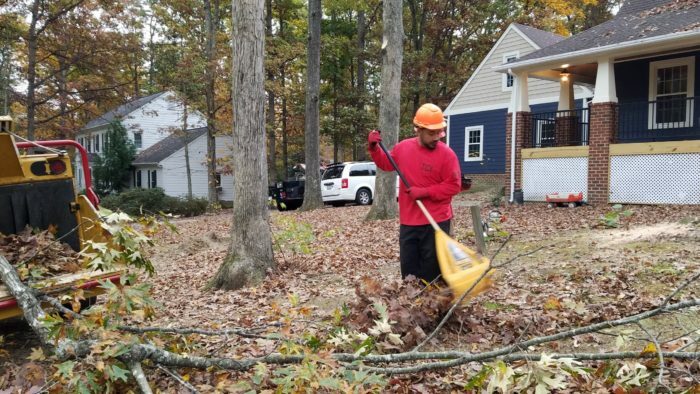 We leave your property looking better than before we got there. Tree Care Inc. provides tree, shrub, stump and storm damage clean up services thought out the Greater Richmond area. 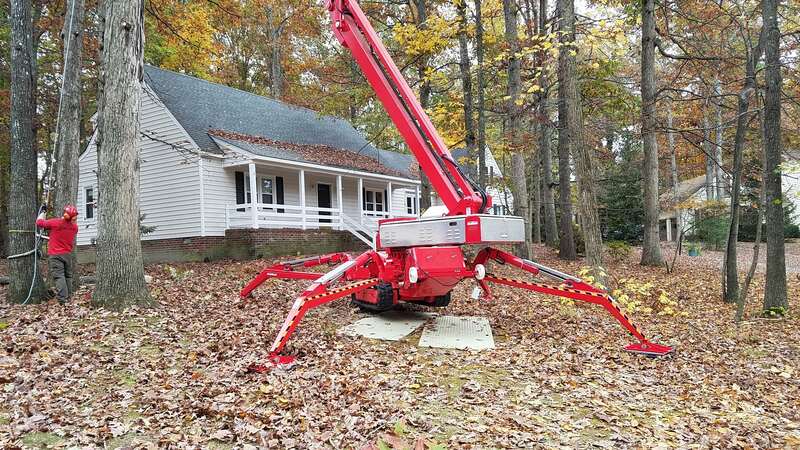 We are the only firm in the Richmond area with two spider lifts. 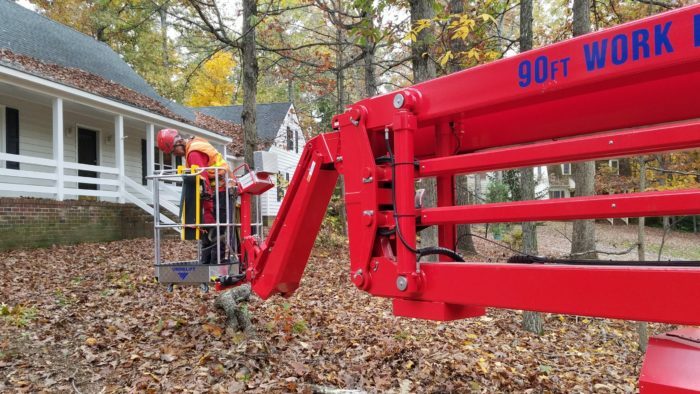 Spider Lifts allows us to reach heights up to 90 feet safely and securely, access your site through a 3 ft. gate and fit into tight places. 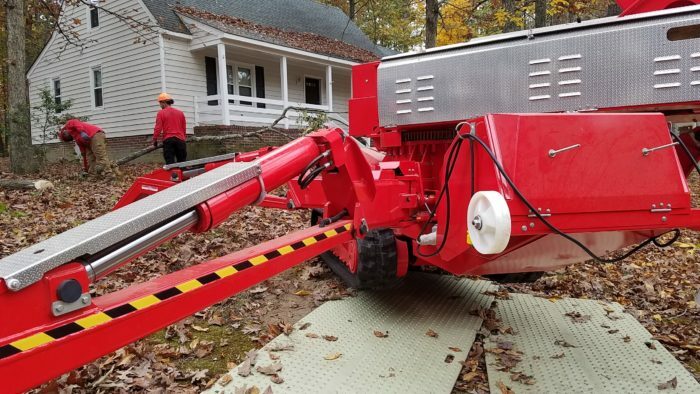 All of our equipment is yard friendly and we pride ourselves on taking care of your property. 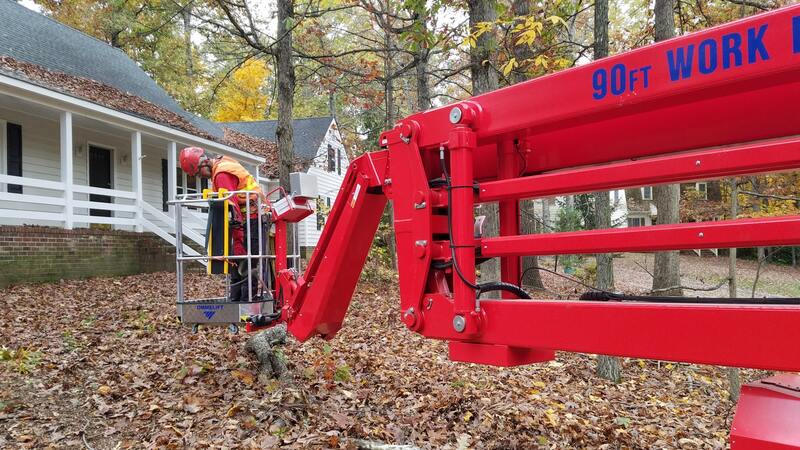 Spider Lifts allows us to access your site through a 3 ft. gate and fit into tight places. All of our equipment is yard friendly and we pride ourselves on taking care of your property. 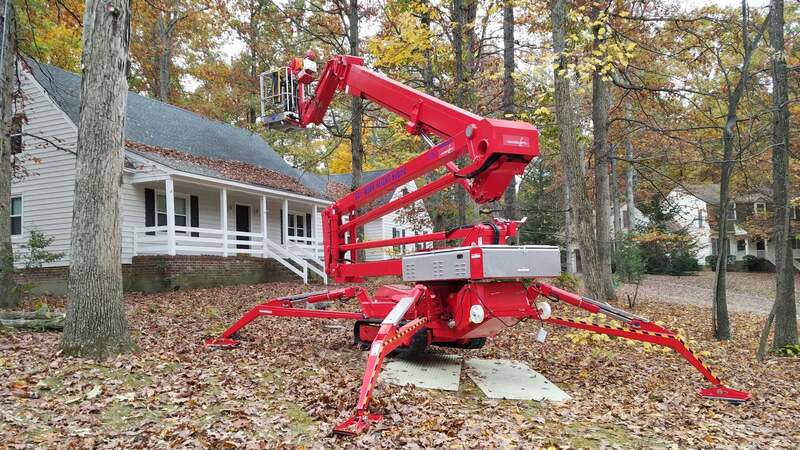 Our spider lift helps us get into tight places. 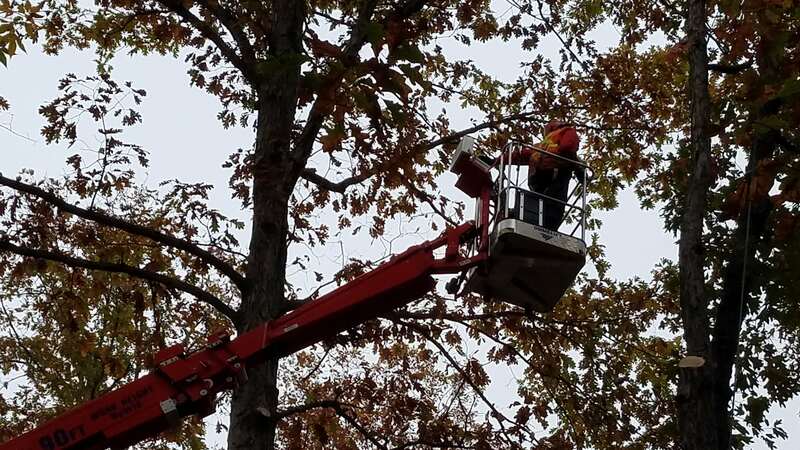 Spider Lifts allows us to reach heights up to 90 feet safely and securely. 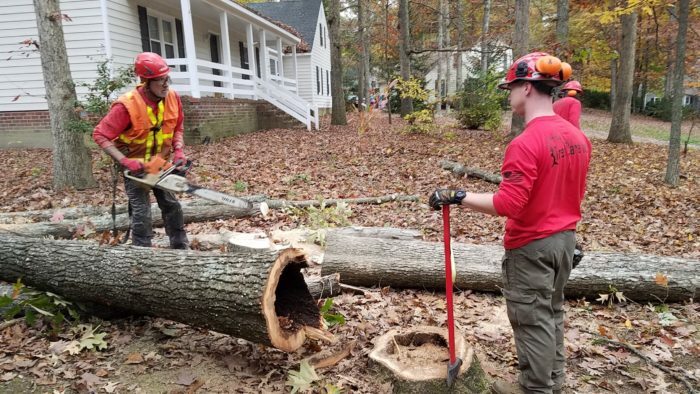 Tree Care Inc. provides tree, shrub, stump and storm damage clean up services thought out the Greater Richmond area. 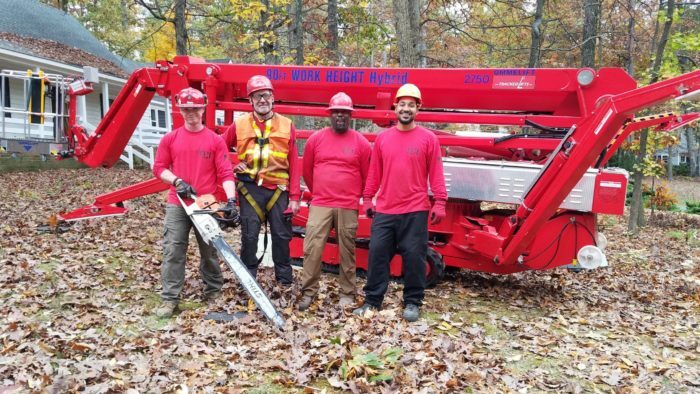 Our spider lift to cut trees safely to protect us and your property. 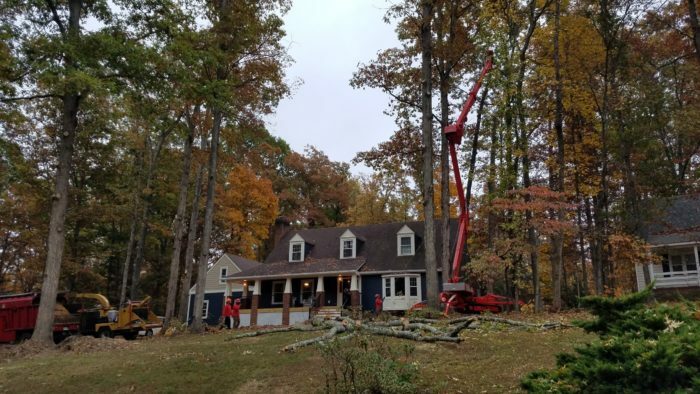 Providing tree services to the Richmond area since 1990. 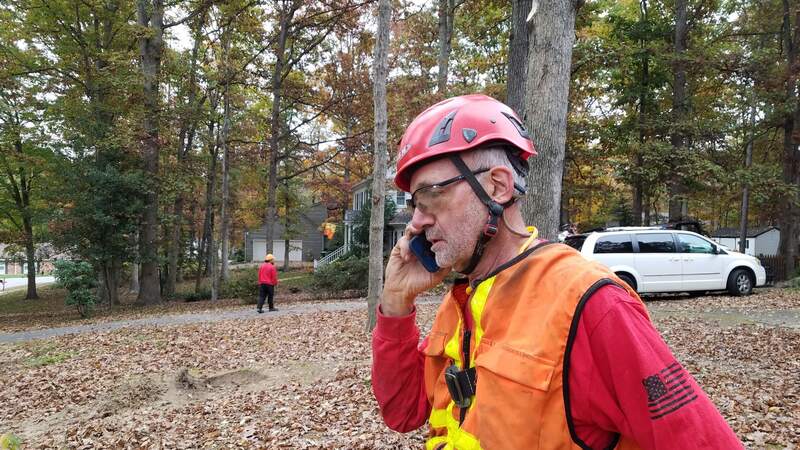 Larry Ricks talking to a client on the phone while on site. Experienced tree cutters since 1990. 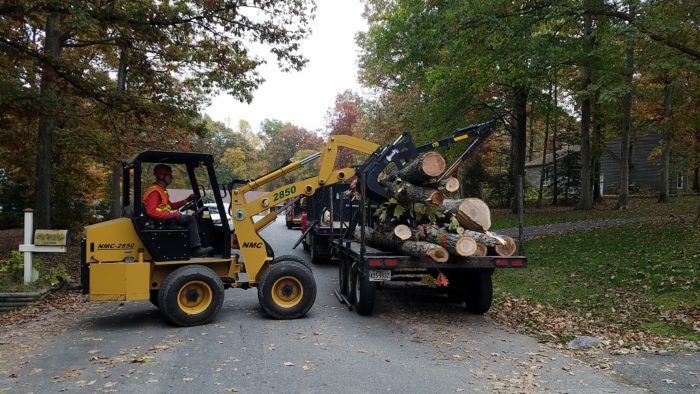 Removal of trees large and small. Visit us at: http://www.treecareincva.com to request service. Happy and Safe Holidays to You and Yours! Got snow storm damage? Call Tree Care for quotes for tree removal. Branches down at apartment complex in the West End of Richmond. Removed successfully. 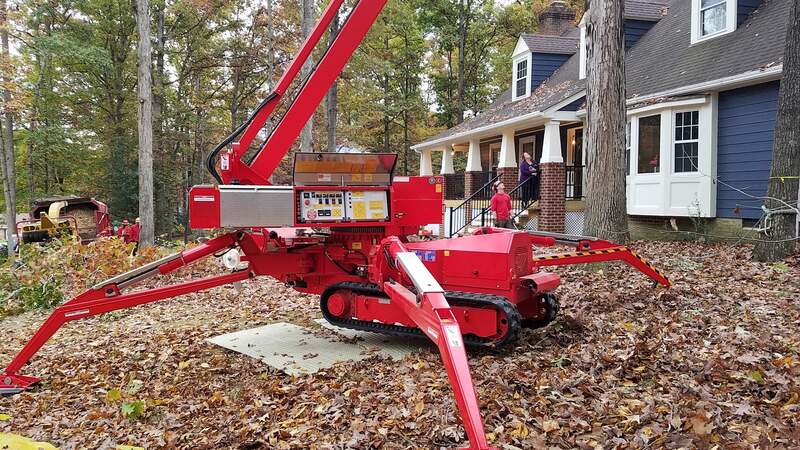 The only firm in the Richmond area with two spider lifts. 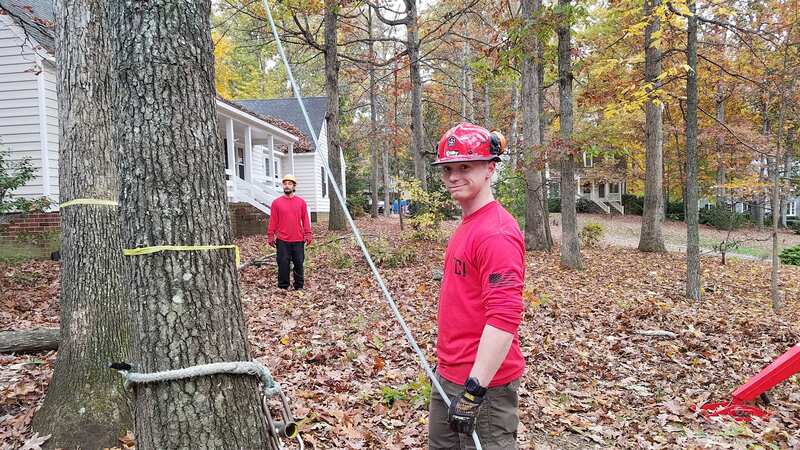 © 2017 Tree Care, Inc. In Business Since 1990. All Rights Reserved.